Another well known American brand is coming to Israel: 20 branches of the Children's Place clothing chain will open by the end of the year. Another well known American brand is coming to Israel: Twenty branches of the U.S.-based The Children's Place clothing chain are set to open in Israel in the months. The first store will open in Eilat, and is set to open next week. The Israeli chain will be managed by the Fox Group, which owns the Israeli clothing store chain of the same name. However, company officials said, the Israeli The Children's Place stores will maintain the “bargain basement” prices that the American stores are known for. Fox Group intends to open at least 20 stores by the end of the year, and is investing NIS 6 million ($1.7 million) in the project. Ten stores will be open by the end of March, with the first branches to be located in the Kfar Sava G Mall, Modi'in's Yispro Center, Big Fashion Beit Shemesh, Kanyon Hadar Jerusalem, and Haifa's Grand Kanyon, among others. Israel is only the third non-U.S. market that The Children's Place has licensed its name for retail outlets. Harel Wiesel, CEO of Fox Group, said “the brands will be sold for prices similar to those in the U.S. We plan to be aggressive on price, but we will do it intelligently, taking into account what our competitors are doing. There will be a wide variety of products, not all of them the absolute cheapest on the market. We are bringing the store's whole line here, and the stores will be very big,” he said. Commenting on the deal, Jane Elfers, CEO of The Children's Place International, said that Israel was a great place for the stores to open. 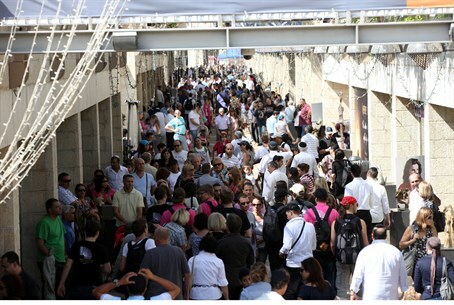 “When you look at the demographics and the traffic in Israel's malls, Israel is a natural place for us to be. We and Fox will make a lot of money in Israel,” she added.